MARK NANCE/Sun-Gazette Lance Van Auken of the World of Little League Museum rings the bell which will be part of the Bells of Peace on Sunday November 11 at 11 am. 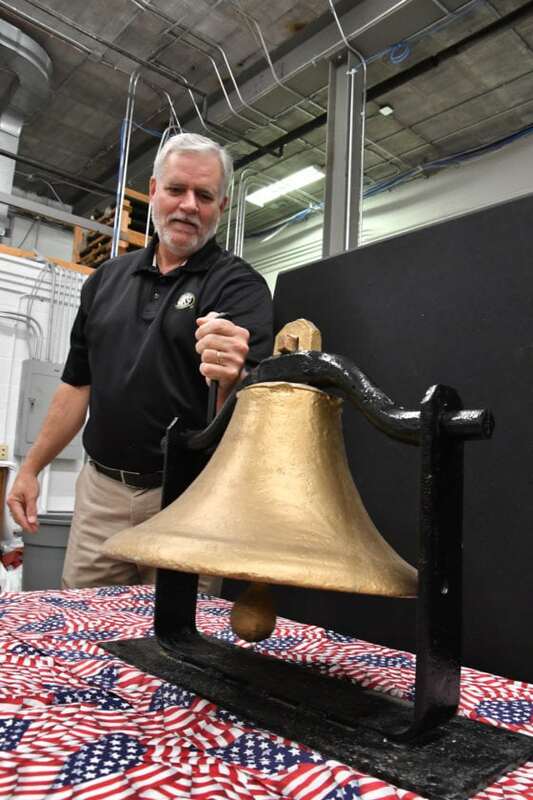 The bell, as well as others throughout the country will ring twenty-one times to remember and honor those who served in the Great War one hundred years ago. To commemorate the 100th anniversary of the end of World War I, Historical Organizations of Lycoming County is asking local organizations to ring bells to remember those who gave their lives in the Great War. The World War I Centennial Commission, created specifically to plan programs to commemorate the centennial of World War I, will be holding Bells of Peace, a national event meant to honor those before us with a synchronized bell ringing. The event will begin at 11 a.m. on Nov. 11 — exactly 100 years since the armistice of the war in 1918. Local churches and historical organizations, including the Taber Museum and the World of Little League, have already agreed to join, ringing hand or steeple bells 21 times with five second intervals. Carol Shetler, a Hughesville resident and a driving force for the local effort, said that while everyone may not know someone who fought in World War I, it is still an opportunity to acknowledge the area’s history and the many people who lived through it. During the war, a total of 20 million people died including 9.7 million soldiers and 10 million civilians. Of that number, 116,516 American’s lost their lives and another 200,000 were wounded. One infantry regiment, which was fighting on the front lines in Europe at the time of the armistice, had 124 soldiers from Lycoming County alone, according to Shetler who said that throughout the year and a half America was involved in the war, thousands of Lycoming County youths had joined. 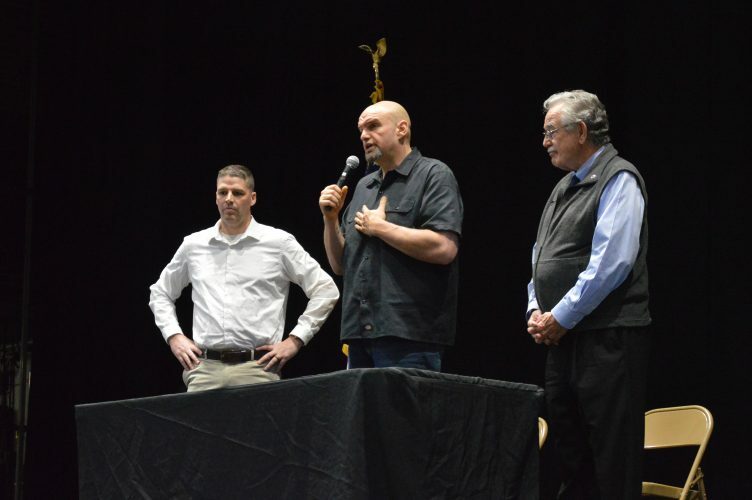 The Historical Organizations of Lycoming County recently announced the effort to have a local branch of the event. The group is still looking for churches, community organizations, veterans groups or firehouses that want to join and honor the centennial in some way. Picture Rocks United Methodist Church has already agreed to hold four sister churches for a special WWI service, according to Shetler, who added that the service will include patriotic songs and an opportunity for anyone to say a name of someone who fought in the war during prayer.